Software localization services are needed if you want to sell your product in countries where English is barely spoken. For English speakers like us, it’s easy to think that the entire world knows enough English to get by. It’s easy to assume that if one is computer literate they would understand English because software instructions and the internet is mostly in English. But the reality is this is not the case. A lot of computer literate people, even software engineers, know very little English. Which is a shame because companies can’t profit from selling software in English to them. Approximately only 20% of the world can understand English, including native and second language speakers alike. So your software has yet to tap a market made up of 80% of the world. And in turn, non-English speakers will be missing out on all of the tons of wonderful software that are in English. Fortunately there is an easy way to solve this problem. 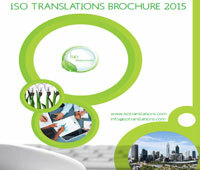 All you need to do is software localization. That is, changing the English words in the software to the language of the country you want to sell it to. It doesn’t take much to do. 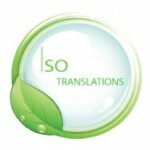 All you need is to have the English words in the software translated to the corresponding words in the target language. There could be a little problem when it comes to writing special characters, and languages which do not use the roman alphabet as English does, such as the Chinese language uses ideographs, and the Russian language uses Cyrillic, but these are easily managed with minimal coding adjustment. And with the world wide web, it is so easy nowadays to find people to translate for you and for a very minimal budget. Just by hiring local natives to translate and code for you already gives your company some popularity with the market you are targeting. Having your software translated into various languages has a bonus benefit of giving your software company a good reputation, locally and internationally. People will think, why would this developer bother having their software available in different languages? It probably means that the software is popular in other countries so the developer had software localization done. The software must be good, why else would a lot of people from different nations opt to get it? And this seeming illusion of desirability will lead to more sales. Software localization is a gift that just keeps on giving.